Antoniades is not wrong and he is well positioned to make such a judgment. 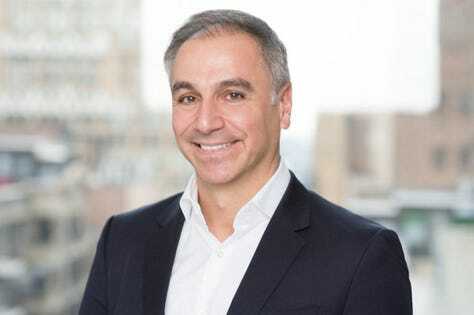 Since Liquidnet acquired Vega-Chi – the first buy-side to buy-side corporate bond and convertible bond trading platform, incidentally set by up Antoniades – four years ago it has become the largest pool of corporate bond buy-side liquidity in the world. Currently, the company has more than $15 billion in buy-side liquidity. Long-considered to be an industry which has lagged behind others within the business market and world of risk management, with its reliance on trading conducted over the phone and lack of transparency, fixed-income trading is now starting to catch up. Liquidnet has been at the forefront of this change for over a decade and the organization now plans to launch an emerging markets platform to help its members source further liquidity. What Is Emerging Technology In Fixed-Income Markets? Innovation within fixed-income markets refers to the emergence of several new forms of technologies. The first is that of machine learning and artificial intelligence, often referred to as AI. Here, algorithms can be used to analyze and identify trends within data sets far quicker than any human being, regardless of their experience or knowledge of the markets. This data analytics allows a trader with the correct software to be able to identify changes in bond price and security immediately and make more qualified decisions. Technology can also save time and open previously unknown sources of liquidity. Instead of asset managers on the buy-side having to manually make inquiries, the software can identify liquidity and facilitate trades. Secondly, indexing can increasingly be used to predict the performance of a specific set of bonds. Intelligent software can be employed to put together individual bonds, forming an index fund. The value of the index fund can then be used to decipher a predicted value of a section of the bond market, giving asset managers an idea of any potential return on investment. Machine learning means that traders can alter the bonds that make up an index fund with the click of a button and discover how different bond combinations will likely fare, making investments less risky. Lastly, sentiment analysis of news stories and social media output about a company and its bonds is being increasingly implemented. Machine learning is applied to assign a rating to each news story about a bond, whether positive, negative or neutral. An end score can then be given to each bond, on an hourly, daily or weekly basis. Traders can then use this information to analyze how a bond is likely to fare before the markets even open. Developments in machine learning and AI, alongside new concepts like sentiment analysis, are thus poised to dramatically change the fixed-income landscape over the next few years. Yet, will this change be entirely for good? A recent study by technology consulting firm Infosys found that continued implementation of AI will contribute to a 39% increase in revenue by 2020 within the financial sector but concerningly one in four roles could become automated leading to widespread job losses. Hardest hit could be the banking sector, where the recent Chief Executive of Barclays, Antony Jenkins, claimed that up to 50% of jobs could be replaced. Jenkins argued that customer services, middle and back office roles might all be superseded by computers. However, the nature of fixed-income markets means that instead of extensive job losses it is likely that the role of the trader will change. The software can be used to complement the work done by a trader, as a ‘co-pilot’, allowing asset managers more time to focus on value-adding activities. Rather than spending time analyzing the fixed-income market, a trader will instead focus on constructing the best execution strategy from information made instantly available. Liquidnet first launched its Virtual High Touch (VHT) platform for fixed-income in December 2017. VHT is an intelligent execution workflow which aims to assist a corporate bond trader when choosing the best execution strategy for different groups of orders. The platform uses data-crunching machine learning to conduct deep liquidity search tools, harness advanced data analytics, formulate MiFID II solutions and construct advanced algorithms. This, in turn, allows the trader to make instantaneous market decisions, evaluating their order characteristics and liquidity conditions with a speed and accuracy like never before. Liquidnet specializes in assisting with the execution of large-scale trades for high-profile asset managers. During Q2 of this year, for example, the average value of a transaction within its fixed-income practice was $3.8 million. Therefore, Liquidnet realized there was a need to find a platform which sources liquidity for larger, harder-to-trade orders. After a period of similar consultation, Liquidnet will now launch an emerging markets platform for its customers in the upcoming months. It aims to ensure that its members will be able to source as much liquidity in emerging markets as they are currently able to with corporate bonds. “When we launched Virtual High Touch we thought that there would be a natural set of customers that would be early adopters, yet we had three times as many members as anticipated using it early on,” concludes Antoniades. “What this says to me is that the fixed-income markets have a tremendous appetite for innovation and are keen to consume innovation in order to source liquidity, extract alpha and be able to better implement their investment strategy.